Italian party Lega Nord wants Fidesz to join the new European right-wing-populist cooperation in time for the European Parliamentary election, writes the Austrian Die Presse. Many have speculated that Fidesz will leave the EPP and join or even organize a new right-wing European party family. However, those close to Fidesz say it will opt to remain in its old party group. 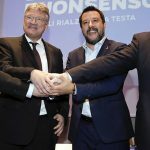 Along with the EU transformation plan, Italy’s coalition government will present the “People’s and Nation’s Alliance” Pan-European party coalition at the European Parliament (EP) elections in May. According to the Italian press, up to twenty parties are invited to join. Among those chosen are Fidesz, Le Pen’s National Front, the German AfD, the Freedom Party of Austria, the Dutch Geert Wilders and the far-right Swedish Democrats. However, leftist daily Népszava’s sources in Fidesz claim the Hungarian prime minister will not be attending the event. According to one of the paper’s informants, Fidesz hopes that the appearance of the new president, Annegret Kramp-Karrenbauer, will help to improve its relationship with the Christian Democratic Union (CDU). After all, while the main political power of the People’s Party is with them, the party believes it cannot get into too much trouble. The parties in attendance shared similar positions on illegal migration and the future of Europe and debated whether it is better to help families or promote immigration and essentially replace a population, Köver told Hungarian public media in Rome. Kövér congratulated Salvini for stopping illegal migrants at sea and declared that Hungary had demonstrated how to effectively halt migration on land. There was no mention of Fidesz’s status at the talks and, according to Kövér, Fidesz has no plans to leave the EPP. Salvini mentioned that he and his party intend to “remain partners and allies” with Fidesz. 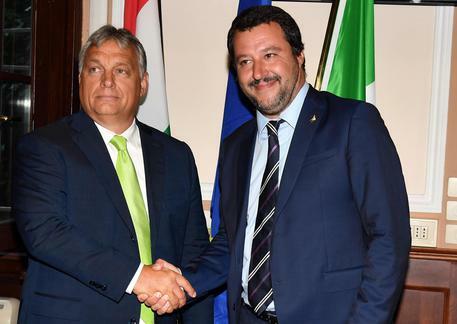 It has been announced that Salvini will visit Hungary just weeks before the EP election at the invitation of his Hungarian counterpart, Sándor Pintér.